Hi! I don't have a real recipe for you today, but I do have four healthy exam studying snacks. I'm not always the best about eating well during law school exam studying. I usually start the week with high expectations on my personal health and hygiene. But……let's be real. By day three you can find me pulling my dirty hair up in a bun, wearing the same stretchy pants that I've worn for three days straight, scouring the pantry for Girl Scout Cookies. The more of these healthy snacks I have on hand, the more likely I am to reach for them instead. 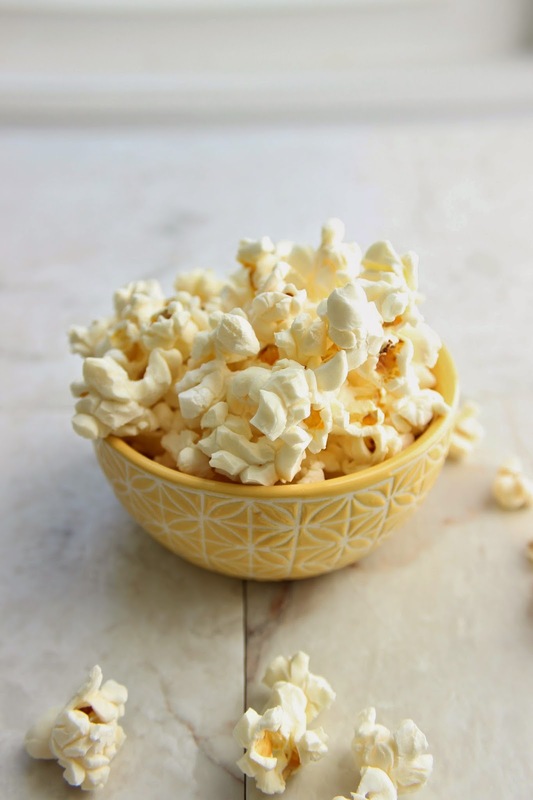 Popcorn is an easy snack and SO good for you if not doused with butter. I wish I could say that I make homemade popcorn, but the microwave kind is still our go-to method. I like mine plain with salt. Adam likes to add cajun seasoning. I once saw Ina Garten make microwave popcorn for guests with truffle oil and fresh parmesan, so go crazy if you like. 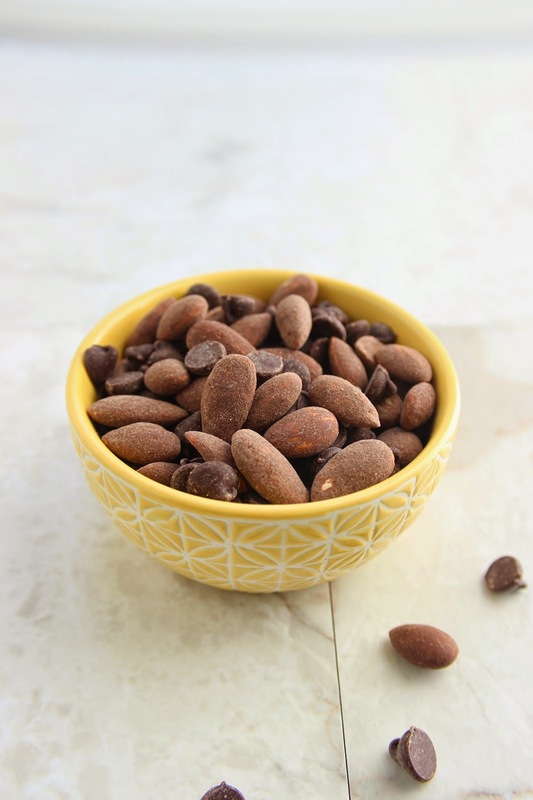 Remember these cocoa cinnamon roasted almonds? So good, especially when paired with some dark or semi-sweet chocolate chips. The protein and fat in the almonds also keeps you full for late night studying. Frozen edamame! These are majority addicting but filled with healthy fiber. Microwave for a few minutes and you're good to go. 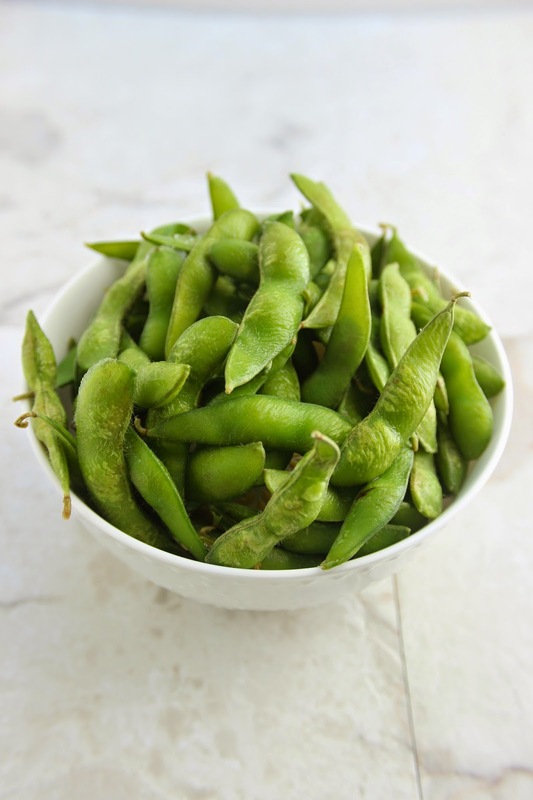 Like our popcorn, I like my edamame with sea salt, and Adam likes his with cajun seasoning. 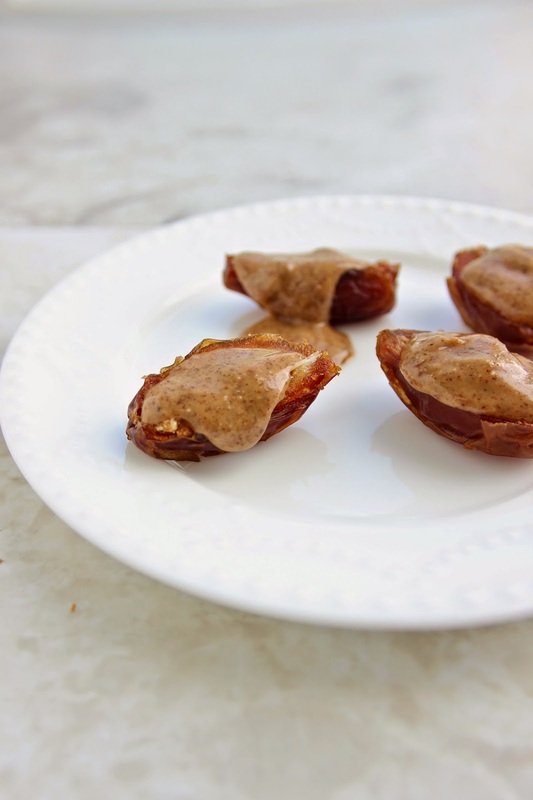 This is my newest snack obsession--dates with almond butter. Just cut a date in half, remove the pit, and slather on some almond or peanut butter. These taste like dessert, but are totally healthy. A few chocolate chips sprinkled on top is REALLY good too, errr not that I know anything about that…. 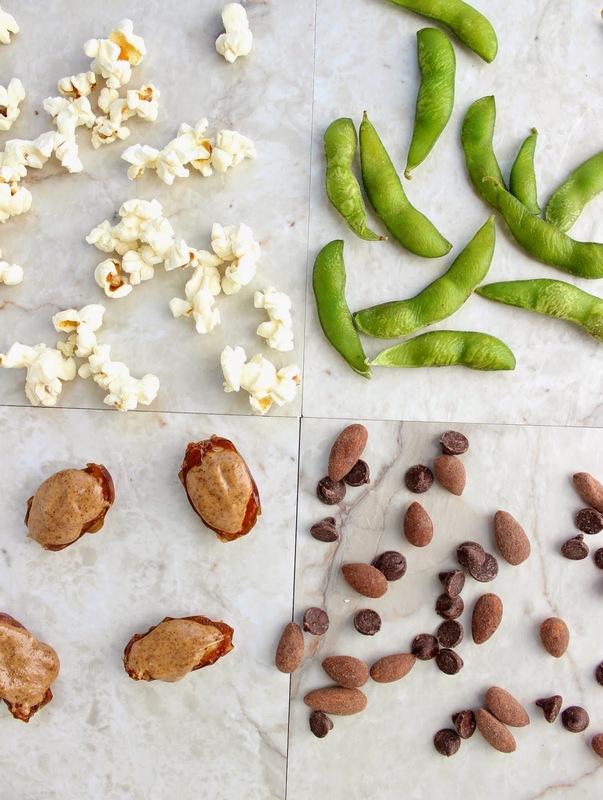 Do you already eat any of these snacks? What are your other go-to healthy snacks? GOOOD LUCK on exams girl! You will do great. Those dates look amazing! Best of luck on your exams! Those dates look mighty tasty! Dates with almond butter? Sounds absolutely delicious! hahaha oh gosh, I've been putting both almond and peanut butter on dates ALL the time after you mentioned it a few days ago! Fully back on my obsession with that snack! Haha, thanks Ashely! They're sooo good!